Moving from Eclispe/ADT to Android Studio I was exploring some alternative configuration to improve my building environment. 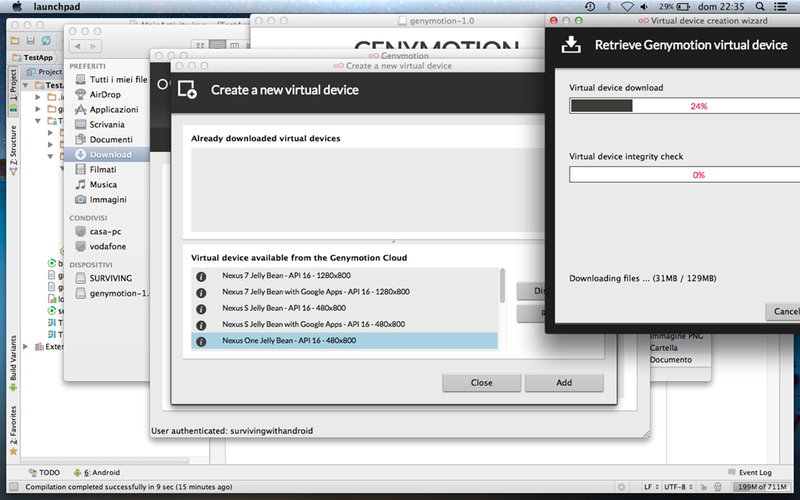 I came across a nice Android device emulator called Genymotion. I find it very interesting and really fast so that I decided to use it as my device emulator. 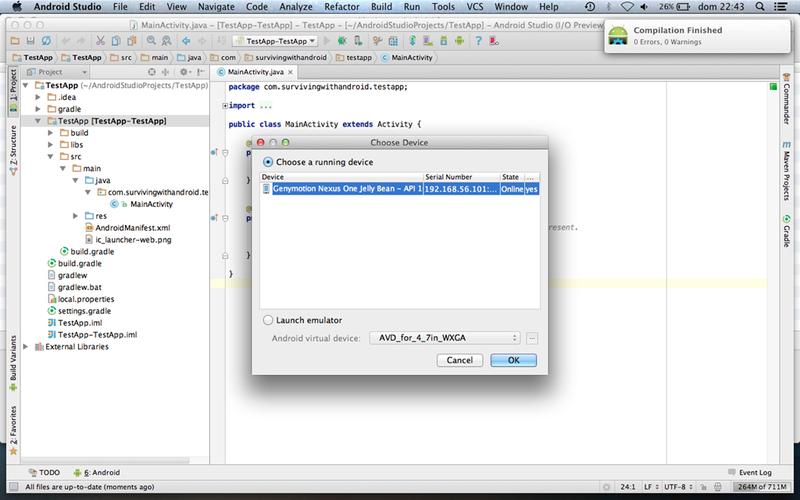 In this post I will explain how to setup Android development environment using Android Studio and Genymotion. Everything is very easy. If you use Windows platform you have everything in your download otherwise you have to download the VM VirutalBox by yourself and install it. The process is very straightforward so I won’t go into the details. 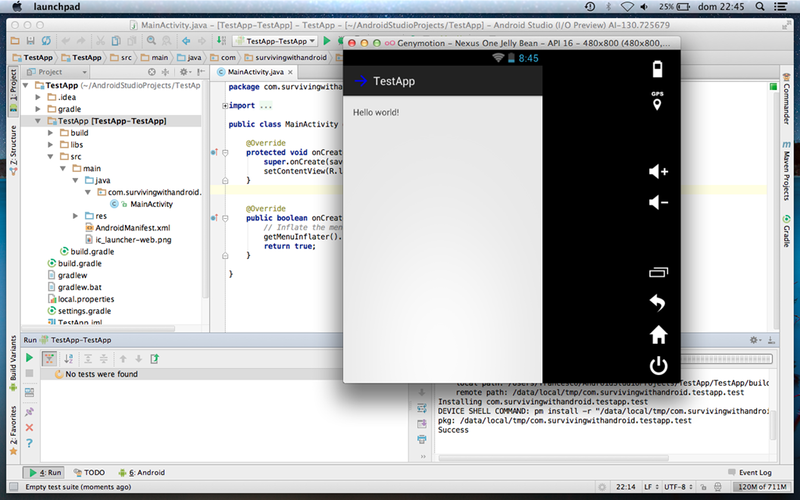 This step is necessary otherwise the Android Emulator won’t start. 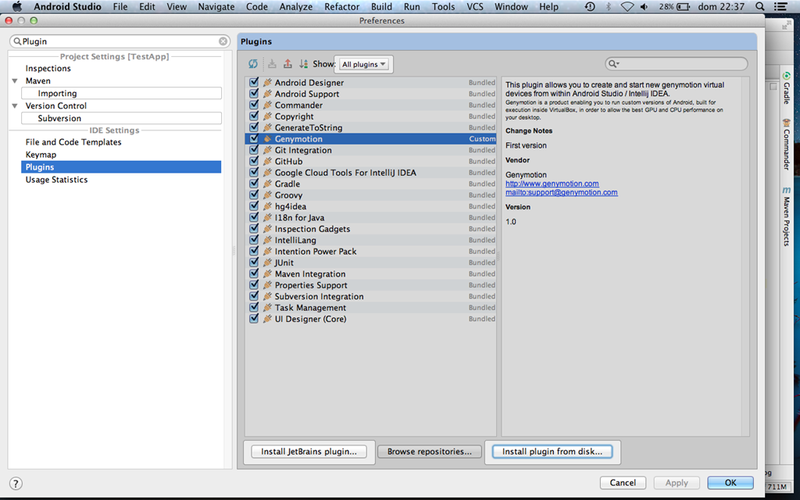 Reference: Android Studio with android alternative emulator:Genymotion from our JCG partner Francesco Azzola at the Surviving w/ Android blog. I used Genymotion emulator, there is no doubt that it is very fast then android default emulator but on other side it also consume much more memory of system and make system very slow ( on my development system). Are you agree with me ? Nope, sorry., don’t agree on the “make system slow” or on “consume much more memory”. Getting a slowdown? 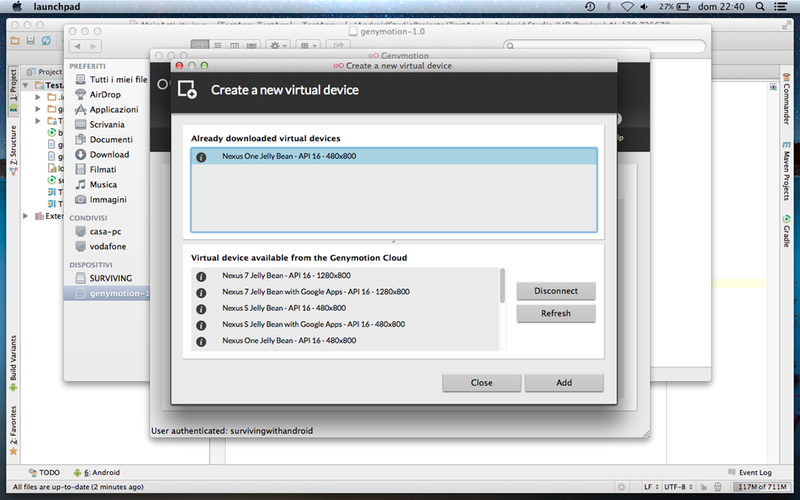 It’s a virtual machine. Like all VMs you should either install it on your SSD, or, if you don’t have space on that, or don’t have an SSD, install it so it’s on a different spindle (i.e. different hard drive) from your main one. As far as memory goes, I’m seeing it take on the order of 0.7G. Surprised that’d be an issue on even a moderately modern machine. i read many argument from other web, this emulator consume much memory, that very bad for pc used 2 GB of ram. now, i use bluestack for emulator but this emulator very slow on my laptop :( . whether there are other alternative for android emulator? 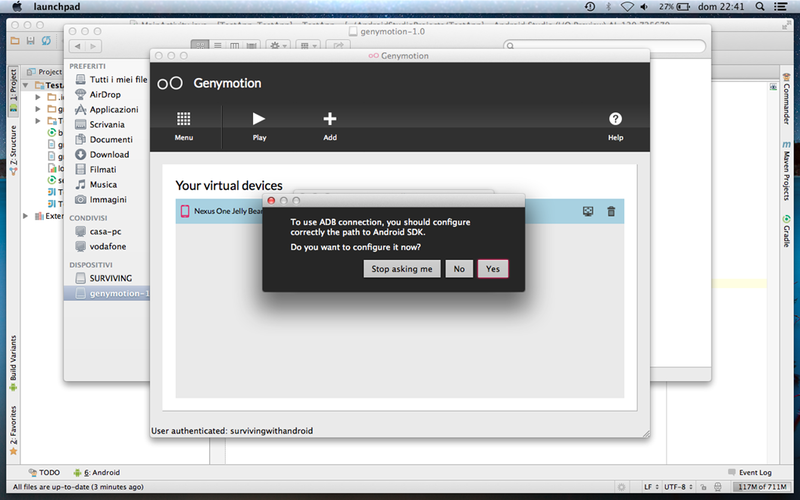 I checked this, and Genymotion only used about 1.3GB of RAM while Android Studio was using 1.4GB. With the total being 2.7GB of RAM, this shouldn’t be a problem as an average laptop these days has 4GB of RAM. If you don’t have 4GB of RAM, then you seriously need to upgrade. Hello, thank you for presenting this interesting setup! I am actually trying to find an alternative emulator because my environment is a Windows EC2 AWS instance (Win Server 2012) and HAXM is not supported there. Would you mind explaining why VirtualBox is needed in non Windows platforms? I need to understand if this could impact me since my environment is atypical. I think It has an advantage of using virtual device rather than real device. In this case, genymotion is the best one, I think.